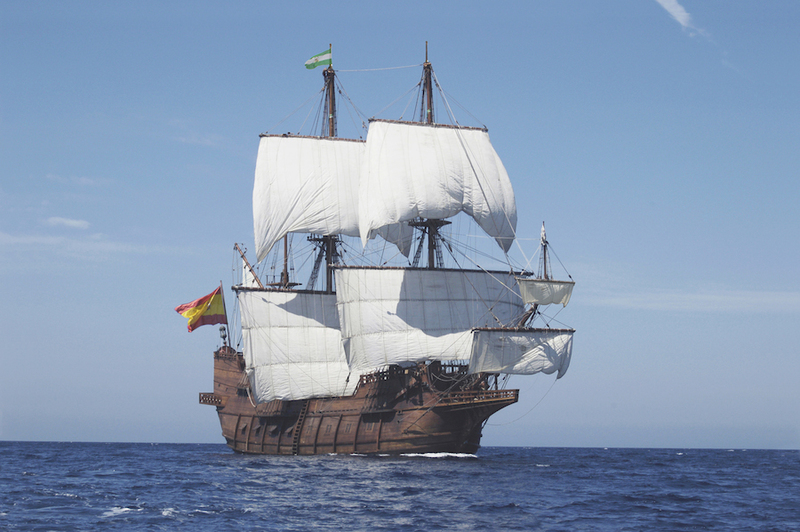 The Spanish tall ship El Galeon Andalucía will be calling on Cape Charles Harbor under a suddenly altered itinerary that takes her to Baltimore and Annapolis. She departs Cape Charles Tuesday morning. She is a world traveler and is truly a floating museum. Tickets for tours of six decks of the vessel may be purchased at the gate on Saturday, Sunday and Monday. Kudos to David Kabler for playing such a big part in making this happen. What an excellent thing for the harbor and Cape Charles. It is great to see tall ships like this using Cape Charles as a stopover and being made to feel welcome here. This along with the big yachts that the Baldwins are bringing in at the new Cape Charles Yacht Center add so much to the character of the town and harbor. Much thanks to them for investing in Cape Charles — reminds me of the good old days of ferries and tugs. I love it!